University of Ibadan, c [Revised] for second semester 2017/2018 academic session. University of Ibadan Academic Calendar For Undergraduate Students 2017/2018 Session Has Been Released Online. 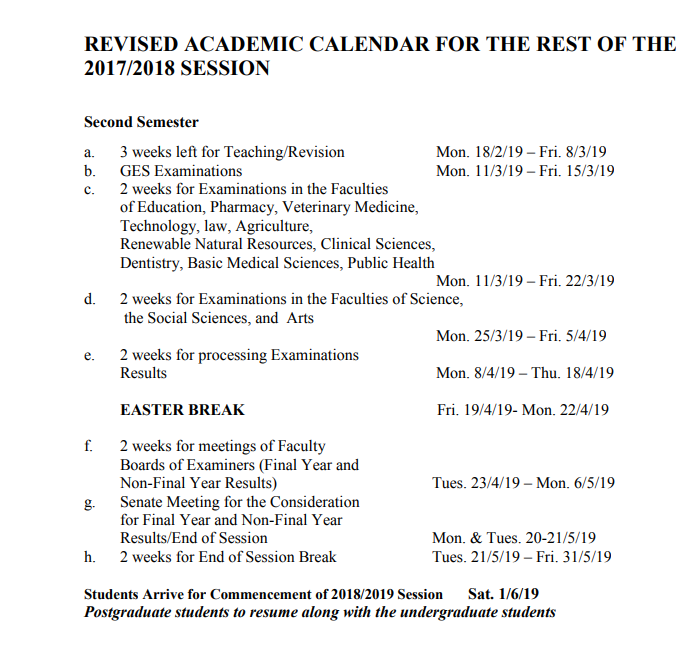 This is to inform all the students of the University of Ibadan (UI) that the authorities of the institution have released the revised academic calendar for 2017/2018 academic session.